Drive up to the larger units (10×15, 10×20, 10×25, and 10×30) from 6:00 am to 11:00 pm. Smaller units on internal hallways can be accessed from 7:00 am to 7:00 pm. All units are 10 feet high. 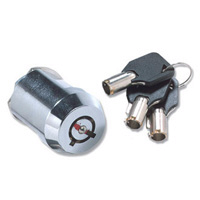 We provide a bullet lock that fits into the door, and three keys. You are charged a $10 deposit that is refunded when you return the lock and keys. Note: Unit sizes are given in feet and are approximate. Actual dimensions may vary slightly.